Bathing in Evian water, nourishing the skin with chocolate, attenuating the signs of aging with diamond dust and replacing the Botox with bee venom are just some of the most expensive and exclusive beauty treatments in the world. Stay informed because although some are very rare, they all work. We suggest visiting Best Facials in Manhattan. How many of you dream of a vacation, or even settle for a treatment, massage or ritual beauty of a couple of hours to relieve tension? Investing money in the care of the body is always a good idea. 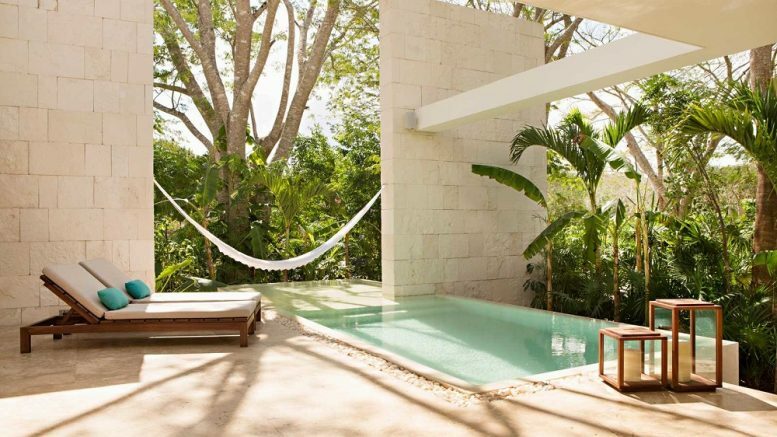 Aiming at the latest trends in treatments is the maxim of most luxury hotels, which already have authentic wellness temples where you can enjoy many of the treatments we tell you. Trust in the wisest hands. But, what treatment suits you? Do you need to recover your calm, reduce wrinkles or get your skin ready? Whatever your need, here is an unusual and very exclusive remedy. It is a pool where you do not get wet, you do not refresh yourself. Zerobody is a bed in which when you lay down you eliminate body weight and feel that you float, while your body temperature is regulated. The body relaxes completely, feeling free to produce endorphins that inhibit pain signals from the body. A completely new way of relaxing that Starpool (a company that sidelines spas) and Neopolitan (brain wellness research company) have created. A kind of immersion tank in which you will get to relax to the fullest. Its minimalist design is completely customizable. Visit Waxing in NYC to get the best care of waxing. The skin can be altered due to different aggressions of the environment, sun exposure, poor diet or even lack of sleep. All this generates stress on our skin capable of dehydrating and deteriorating prematurely. Thanks to Natura Bissé’s new Diamond Experience Energy Facial treatment, which visibly improves the definition of facial contours, while at the same time restoring skin elasticity, tone, and texture in a spectacular way. You can book your treatment at the unique five-star hotel, located in the luxurious Salamanca district of Madrid. In your wellness, space you will find all the exclusive treatments of the Spanish cosmetics firm. Run to book! This collaboration has started during the month of May and we hope it lasts a long time. The luxury resort Jumeirah Dhevanafushi of Maldives has one of the best spas in the world. The best thing is that at Talise Spa you can enjoy the traditional techniques of the area with the most precious local products such as coconut, pearls, roses or even precious stones. If you test your exfoliation with coconut, papaya and honey powder, your skin will be completely revitalized and with an announcement aspect. One of the most precious minerals in the world of beauty is silicon. It improves the appearance of the skin and prevents wrinkles, which is why the Spa at the Hotel Excelsior di Pesaro includes a silicon-based ritual that increases the thickness of the skin, improving its appearance and preventing the appearance of wrinkles. Absolutely surreal, this is the mansion of the Sacred House Hotel in Cappadocia. A unique place where the spa is located in authentic volcanic rock, between ruins and rock formations. All its spaces combine space, luxury and a fascinating interior design awarded with the International Award for Renovation and Design for Boutique Hotels in 2019. It is no longer enough to lower the temperature of the shower water during the last seconds to tone the skin. Guests of the Victor Hotel in Miami can enjoy an exclusive bottled water bath Evian Natural Spring and rose petals for about $ 11,000. Of course, the treatment not only includes the bath of French mineral water, in addition to the soaking time you can enjoy two hours of spa services and a meal with Krug Cuvee champagne, prepared by the hotel’s chef. Getting into the sauna is a classic to relieve tension, relax muscles and burn calories. A Finnish tradition for which we are all attracted every time we go to any spa or even gym. But, did you know the sauna that gives the body more benefits is the infrared? It is a sauna capable of emitting the same heat waves as the sun, our body attracts that heat and more penetration is achieved with a temperature lower than that in traditional saunas. Its advantages are clear, it will increase your blood flow, reduce inflammation of muscles and joints and improve flexibility. Many experts call it the sauna of the future. Many people refer to it as the beauty Nespresso but in reality, it is much better, Nu Skin’s ageLoc Me is an intelligent device that offers the most advanced anti-aging treatment on the market. Includes day cream, night cream and a mix of serums. Your dispenser offers you the perfect amount you should apply, no more or no less. You only touch the product with your hand to apply it on the skin, which seems super hygienic and the properties of the assets of each product remain intact. After 14 days using the initial reference set, the state and needs of the skin are evaluated through a digital questionnaire that establishes a personalized diagnosis code with the treatment data that a person must acquire. You can order it directly through your mobile application and in a few days you have it at home. In recent years, the dependence on mobile phones, tablets, and computers has increased so many wellness centers include therapies and treatments to alleviate the negative effects of this dependence. The eyes, wrist, neck, and back are the parts of the body that suffer the most. To alleviate muscular discomfort, we recommend that you put yourself in the hands of the Filipino masseurs of Fariolen Manila, in Madrid. Its combination of acupressure, Asian massage and treatments based on sea products such as shark cartilage, caviar and pearl will leave you new. Gold and silver pass from your jeweler to your dressing table. Both minerals offer immediate and effective results to keep the skin ready. The offer is huge, there are masks, baths, wraps, and massages with gold dust, silver, and even diamonds. Among the many treatments that have these minerals, we recommend the Gold Orbicular Treatment, by Maribel Yébenes, which improves bags, dark circles and eliminates the wrinkles of the eyes or treatments with gold foil, available in many beauty centers. In the case of treatment with gold sheets, the procedure is very simple: the 24K gold sheets are applied. on clean skin and wait until it takes effect. The skin cells react when they come into contact with gold and produce collagen, which is why it is usually recommended for mature skin. Finally we recommended Spa in Manhattan and Best nail Salon in Manhattan to know more details. Be the first to comment on "10 unusual and exclusive treatments of spas"